Showing 2 articles from September 4, 2015. LOUISBURG - Colonel (Ret.) Dr. Christopher Fitzgerald Wrenn, Sr., died on Tuesday, September 1, 2015. From humble beginnings as a graduate of Bunn High School Class of 1980, Chris went on to be a highly decorated soldier in the United States Air Force whose accolades included a Defense Meritorious Medal and Joint Service Commendation Medal, among many others. 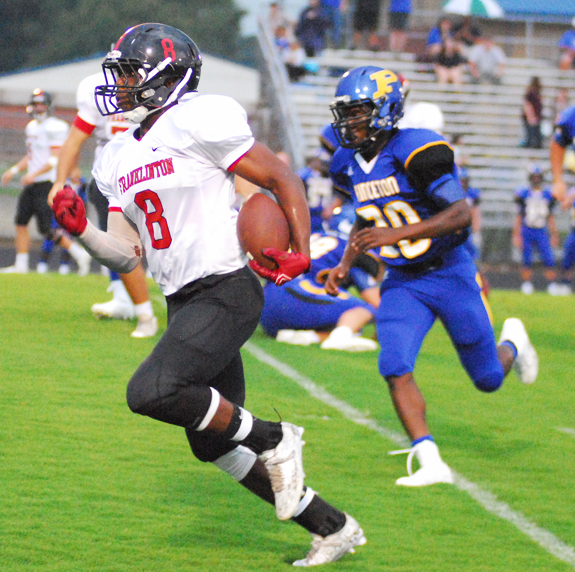 PRINCETON -- With its offense struggling and several key players battling injuries, Franklinton desperately needed a change of pace during Friday's road football showdown at Princeton. The Red Rams got exactly what they needed from sophomore backup signal-caller Kyeon Spencer.